I play the bass guitar and I use it to craft beautiful ambient soundscapes and experimental New Age music. My Solo Work can be found under the name greyghost, though I have retired that moniker for the time being; look for a new release on Aural Canyon under my full name, Brian James Griffith. Electric Sound Bath, with Angela Wilson, is an experimental new age duo that works with meditation facilitators and does durational, improvised performances. I co-founded #ScreamingClaws, an improvised music collective, which has been pretty quiet lately. I also compose and record pretty much any genre of music you'd like and you can find some samples under my MUSIC page. Electric Sound Bath has collaborated with Jesse Fleming on a meditation cassette. Out on Crash Symbols, Heart and Insight Meditations is a gentle introduction to the world of the mindfulness. 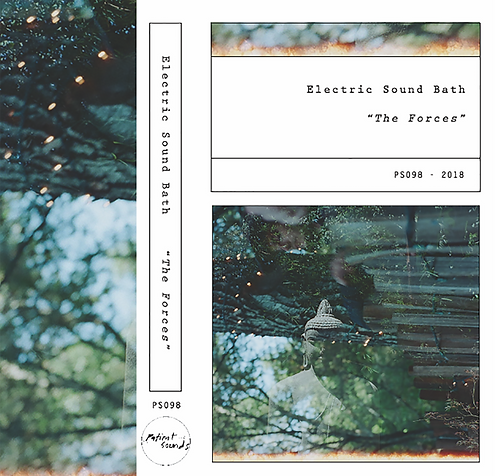 Greyghost and Electric Sound Bath have tracks on Aural Canyon's Benefit for Planned Parenthood. All proceeds go towards this wonderful organization that truly need support in this time of extreme masculine energy throbbing out of the White House.